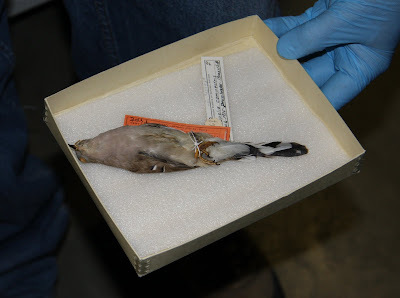 Today we got a "behind-the-scenes" look at the zoological collection of the Denver Museum of Nature and Science with the Foothills Audubon club. 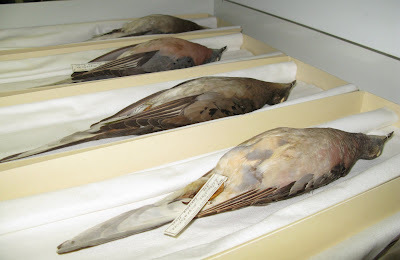 With approximately fifty-two thousand bird specimens, this collection is the largest in the western United States. 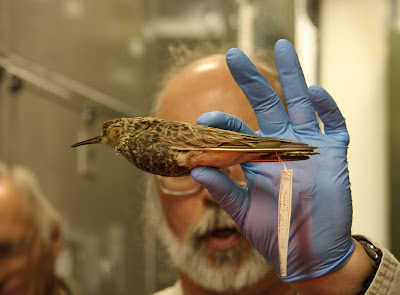 Thanks to Ron Harden for organizing this and to zoology collections curator, Jeff Stephenson, for an amazing tour. 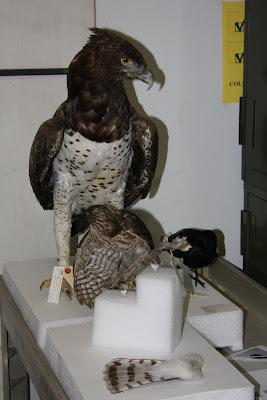 Martial Eagle of Africa, Accipiter sp., Accipiter sp. tail., plus a magpie sp. 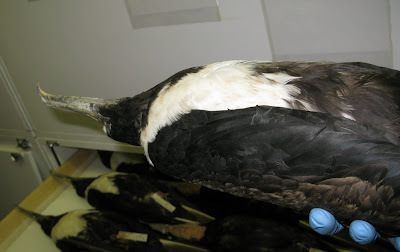 Colorado's one-and-only Magnificent Frigatebird . 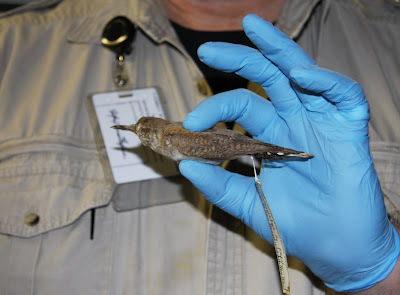 . . accused of dive bombing a windsurfer and subsequently stoned to death. 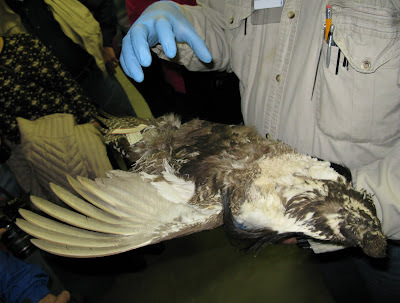 The people who killed it worried that they had an eagle on their hands. 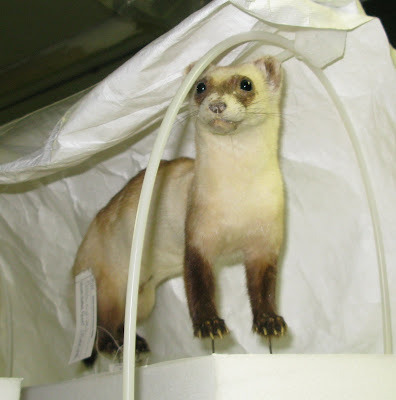 They called the Colorado Division of Wildlife, who confiscated the body and donated it to the museum. 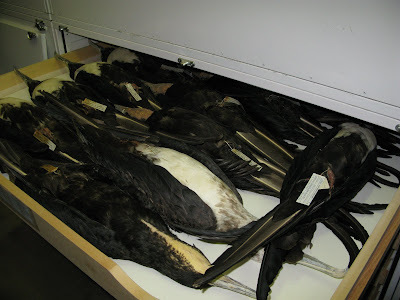 The rest of the frigatebird tray with the Colorado frigatebird on the far right. A parade of skeletonized birds. 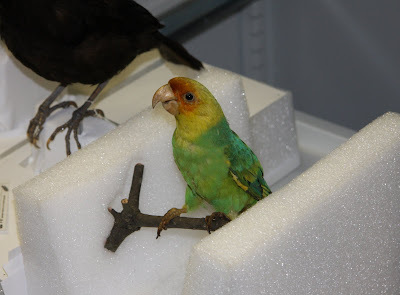 Carolina Parakeet (continental North America's only native parrot north of Mexico, which is now extinct). 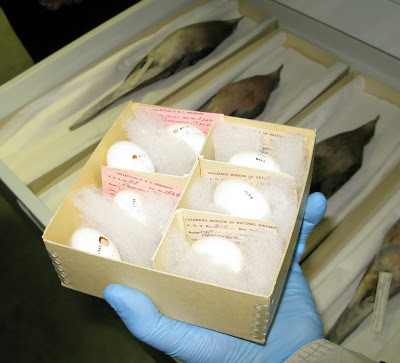 Elephant Bird eggs! 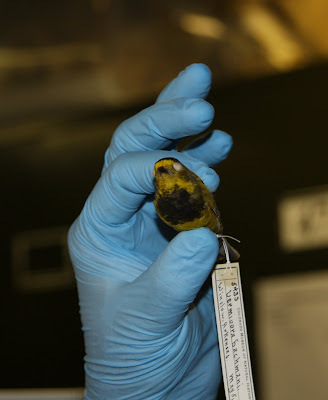 There are reportedly only about 16 of these in the world and DMNS has two intact eggs! 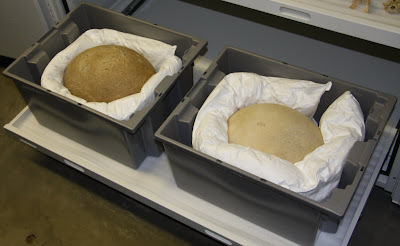 The eggs are 15 times larger than an ostrich egg. The Elephant Bird was native to Madagascar. It was flightless and believed to be about 10 feet tall and 880 pounds. 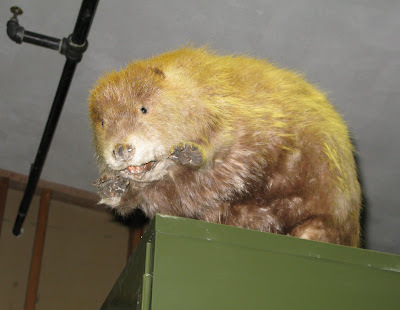 They are believed to have gone extinct in the 16th or 17th century likely due to human activity. 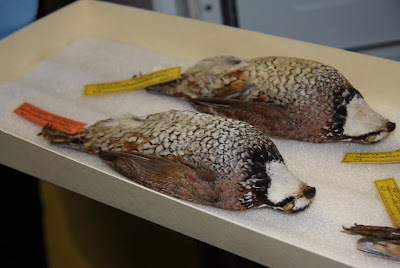 The type specimen for Gunnison Sage-Grouse. San Benedicto Rock Wren, a Rock Wren subspecies endemic to San Benedicto Island in the Revillagigedo Islands off Mexico. 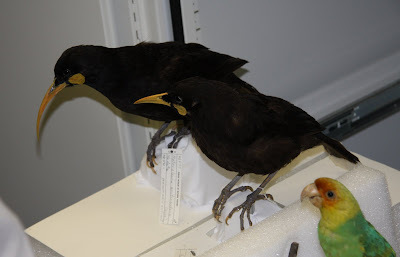 This subspecies became extinct in 1952 when this volcanic island erupted. 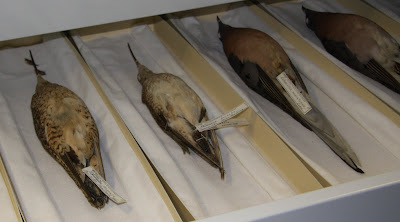 Two possibly extinct Eskimo Curlews on the left with extinct Passenger Pigeons on the right. 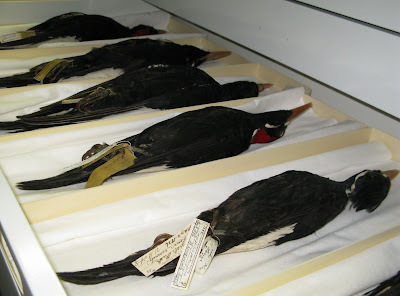 The largest woodpecker in the world, Imperial Woodpeckers (three on the left) and the second largest, the Ivory-billed Woodpeckers (three on the right). Both species are presumed to be extinct. Another view of the large woodpeckers tray.